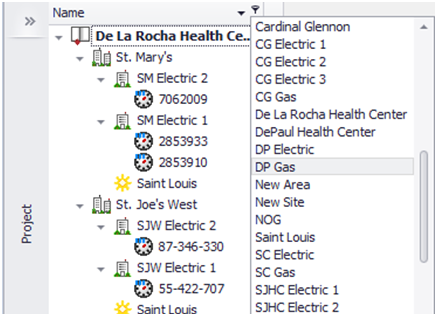 Search for your meters, areas, rates, etc. 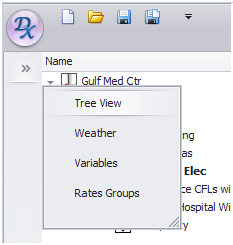 through the Tree View (left), or by name from drop down menu (right). 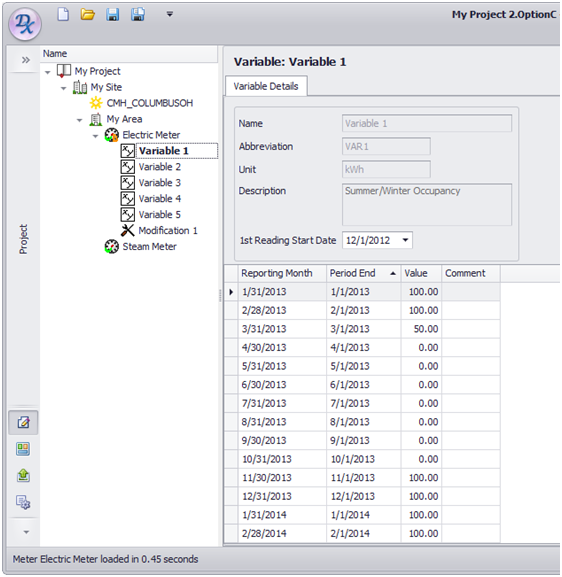 Weather, variables, and rates are created and stored in dedicated menus, and can be assigned across multiple meters, areas, or sites in a project. Simplify edits and avoid redundancy with this streamlined control. 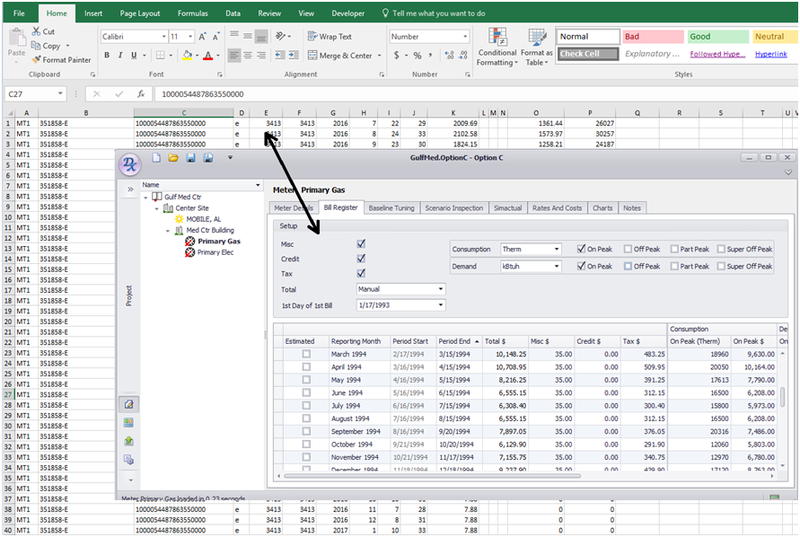 Unlike its predecessor, Metrix 4, Option C features a database supporting an unlimited number or rows in bill registers. 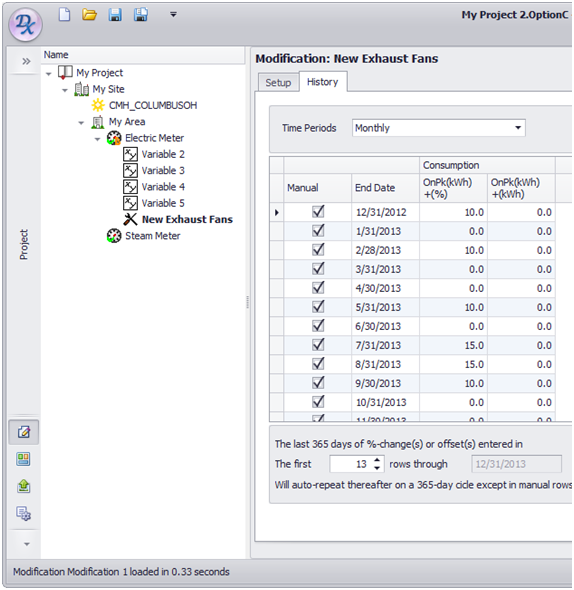 This means that daily and weekly regressions are now possible across lengthy time periods. 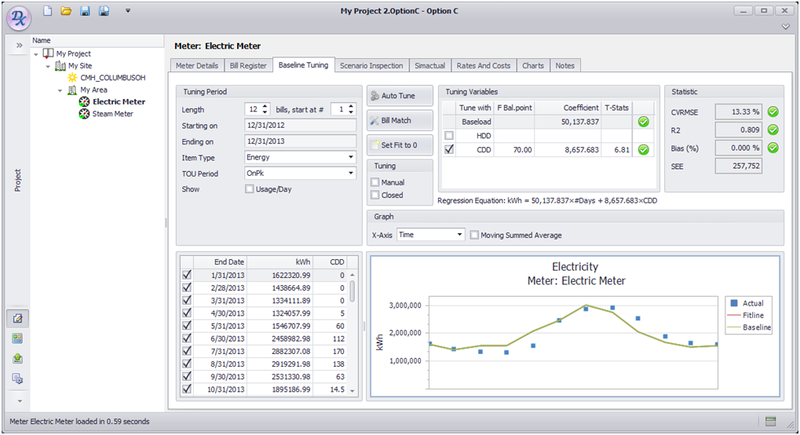 Option C also supports unlimited meters per project database. 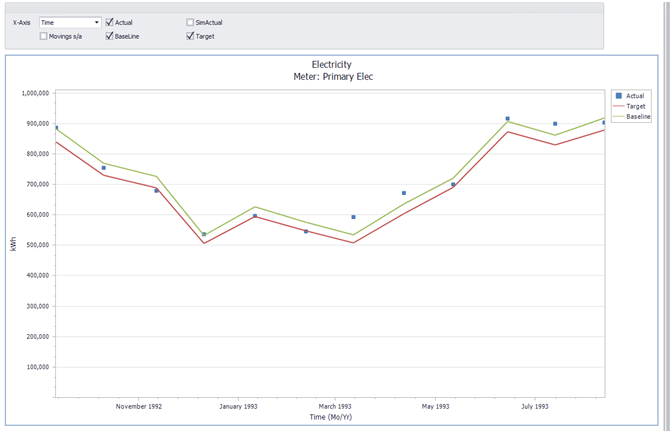 Track and prove your effectiveness reducing energy usage! How do you track savings if the facility is changing SQFT, or Usage Patterns? Option C will adjust your baseline for these non-routine changes! Right now the rate model is somewhat simple. In a later version, we will add complexity so that it can model most, if not all rates. 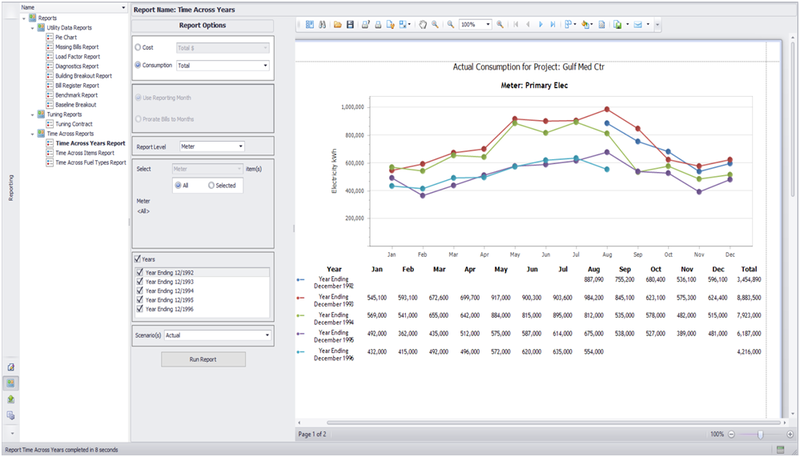 Charts are automatically generated at each level of the Project (Meter, Area, Site, and Project). 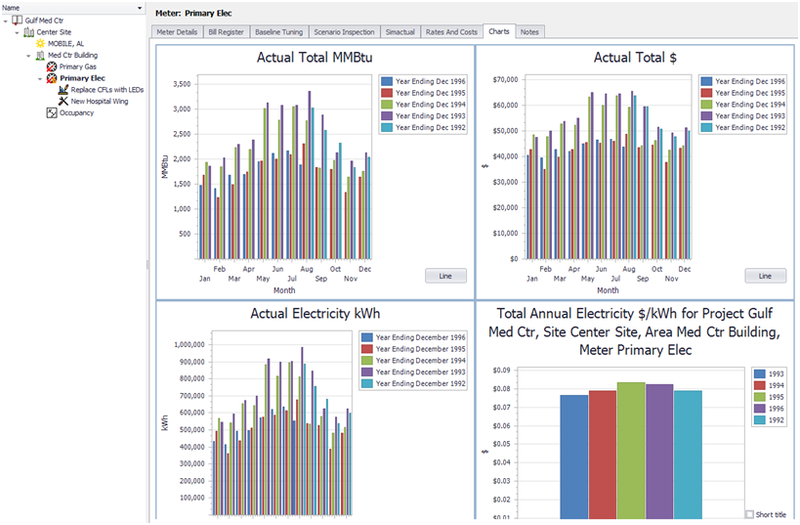 No need to edit – these charts aggregate data from child meters, areas, and sites as you work. 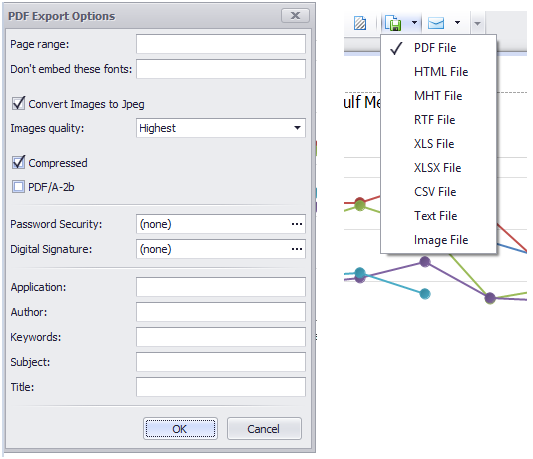 Users with Metrix 4 projects may make use of our Option C Import tool to quickly import their projects into Option C.